We are pleased to announce the new release of Zentimo 1.7 at the edge of the year 2012! The new version includes Windows 8 support, drive letter management improvements and minor bug fix. Download now or read more below. Two months ago Microsoft released a new version of Windows. It doesn’t matter if we love it or not, but we have to support it. Therefore now Zentimo has passed compatibility tests with Windows 8, furthermore we have added a nice Metro UI-style skin, you can see it in the begin of the post. On Windows 8 it’s set by default, however you can choose it in the settings on other versions of Windows. 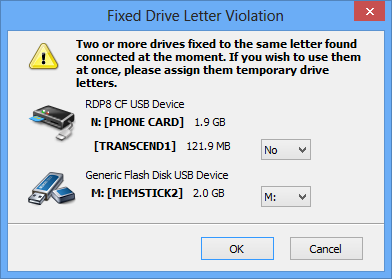 Per many requests we have added an ability to fix a drive letter not only to a one drive but to the several drives on the condition that you connect them at different times. This feature might be used for backup purposes. A small but useful improvement for those who use fixing drive letters feature. Now when a drive is fixed to a letter a small lock sign is displayed in the row of the drive. Fixed: Autorun programs called before changing drive letters (e.g. for fixed drive letters). This caused double calling of the autorun programs. Be happy and have fun in new coming year! Очень приятная новость под новый год! Ребята, спасибо огромнейшее за вашу работу, я может буду не оригинален, но zentimo – просто отличнейшая программа для работы, более удобной программы я не встречал, да и искать не вижу смысла, она полностью удовлетворяет моим потребностям. Я в очередной раз убеждаюсь, что не зря в своё время приобрёл еще usb saferty remove. И сейчас не задумываясь купл пожизненную лицензию. Не хватает (на мой взгляд) лишь одного – назначение горячих клавиш на запуск программ из меню. Still problem with centre window when hotkey used. First time when hotkey used window not on screen centre, next time when hotkey used is OK.
1. Where is the “About” box. Searched through Program Options but nothing found. 2. With version 1.7 I now have a small red cross through the network icon in the taskbar (Windows 7 x86) though the internet works properly. 3. From an email: “You are eligible to use all new versions that will be released until 2013-12-12.” But where do I find the information in Zentimo v1.7? Great function under Windows 8 – nice. Unter Windows 8 Pro (32-Bit, deutsch) klappt das sichere Trennen eines USB-Gerätes via Zentimo 1.7 fast jedes Mal erst beim zweiten Durchlauf. 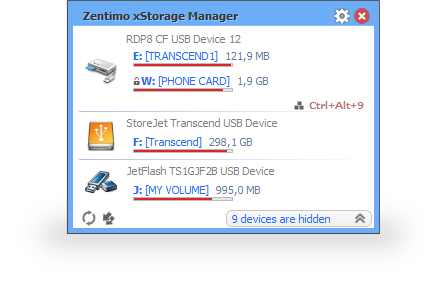 Running the actual version 1.7 of Zentimo under a German 32-Bit version of Windows 8 Pro, I have to use the “safely remove” function of Zentimo nearly every time twice before the safely removal is possible. I’ve already respond you from our support desk. There’s no need to duplicate the questions in several places. least version is 1.7.1 OR 1.7.2 ? Es un programa muy bueno. por favor como puedo registrarme. Q. just a minor Zentimo Pro “tweak”, OR, an actual update that everyone should be installing?